Bristol-Myers Squibb (BMS) stumbled last month when its immunotherapy treatment Opdivo failed in a crucial first-line non-small cell lung cancer (NSCLC) trial – now rival Merck looks set to capitalise by advancing its drug Keytruda. Opdivo (nivolumab) failed to show benefits in treatment naïve lung cancer patients in its CheckMate -026. The results surprised the company, analysts and its rivals, most notably Merck, which has trailed behind BMS until now. 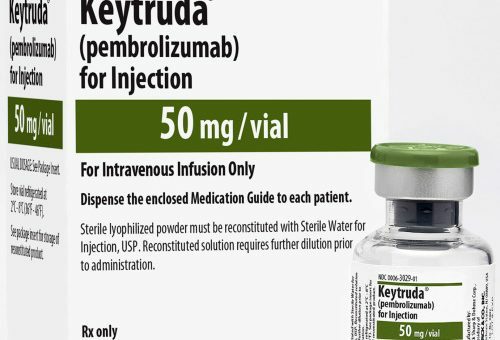 But now the FDA has accepted Merck’s filing of Keytruda (pembrolizumab) in front line patients who express PD-L1, and has set a decision date of 24 December – a major Christmas present for the company, and lung cancer patients, if approved on schedule. Opdivo is widely understood to have failed to show benefits in frontline NSCLC use because its trial included patients who expressed low levels of the PD-L1 biomarker – >5% – whereas Keytruda’s trial only included those with levels above 50%. In practical terms this meant that Opdivo hadn’t required a test to determine PD-L1 levels in patients, an advantage which had put it ahead of Keytruda, which can only be used in tandem with a test. But now Keytruda is also armed with an FDA Breakthrough Therapy Designation for the indication, and has also been filed with the European Medicines Agency for this indication. Analysts predict Merck will be able to close the gap BMS has established in the last two years since the drugs were launched, first in melanoma, but now in a wider range of tumour types. Credit Suisse forecasts that Opdivo will hit $8.5 billion revenues by 2020 and more than $10 billion in 2023. Meanwhile Bernstein predicts Keytruda can achieve $7.8 billion by 2025, raised from the earlier estimate of $5.35 billion. 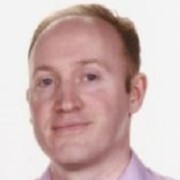 BMS’s slip up has also opened the door to the chasing pack, most notably Roche’s Tecentriq, which gained its first approval in bladder cancer in May. Just a week ago, the company released positive phase 3 data in second-line NSCLC and, already filed with the FDA for this use, the US regulator is expected to make a decision on 19 October. Roche has a further eight studies of the drug already underway in combination with other treatments for patients with different stages of the disease, and also looks likely to seize some of the NSCLC market.